IndiGo said on its website that an additional, non-refundable convenience fee of Rs 200 per passenger per sector will be levied on all online payments made through net banking/credit card/debit card. IndiGo is offering tickets at Rs 1,316 on Goa-Bengaluru route. India's biggest carrier IndiGo is offering fares starting Rs 1,120. This fare is applicable on the Chennai-Bengaluru route. IndiGo is offering tickets below Rs 1,200 on several routes. 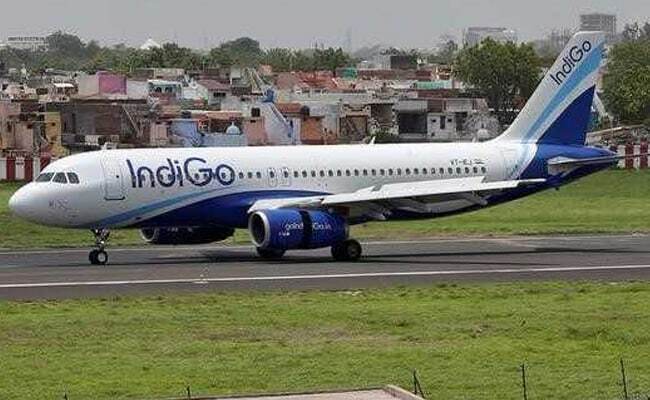 The starting fares on other IndiGo routes include Jammu-Srinagar at Rs 1,168, Delhi-Jaipur Rs 1,178, Imphal-Guwahati Rs 1,212, Bhubaneswar-Kolkata 1,299 and Goa-Bengaluru Rs 1,316. A check on IndiGo's website showed the Rs 1,120 fare was available on the Chennai-Bengaluru route later this month. Airlines operating in the country have been coming up with discounted fares to lure flyers. Indian aviation market is among the fastest growing in the world. Passengers carried by domestic airlines during January-September 2017 were 849.94 lakh as against 726.98 lakh during the corresponding period of previous year, registering a growth of 16.91 per cent. IndiGo's rival AirAsia India is also offering discounted fares, starting at Rs 1,299. The AirAsia India offer ends on November 5 and is applicable on travel till April 30, 2018. InterGlobe Aviation, which runs IndiGo, reported a massive spike in September quarter net at Rs 551.5 crore, boosted by a one-time payment towards engine issues and delayed aircraft deliveries and higher margins. The Gurgaon-based airline, which commands a little over 38 per cent share of the total domestic traffic, is "seriously" looking to participate in the central government's regional connectivity scheme, company's president and whole-time director Aditya Ghosh said during the post-earnings analysts call. IndiGo had posted net profit of Rs 139.8 crore in the July-September quarter of the last fiscal year.